Duct tape has been stereotypically known as a “man’s toy,” but this is the 21st century, people! Also, it is Women’s History Month, so, yay equality! Plus, there are just way too many cute colors and patterns of duct tape nowadays for us to not make something crafty out of it. I have six rolls of it in my room still from when I taught you Glossers how to make duct tape hair bows last semester (ahh, those were the days...). 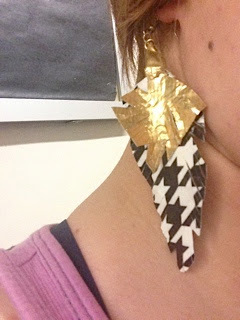 Why not put my plethora of tape to use by making some duct tape feather earrings? Now that you are geared up and ready to go, pull out six inches of your tape and cut it. 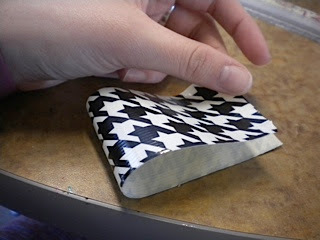 Fold the piece of tape so that the sticky parts are being folded together and their little edges are kissing. 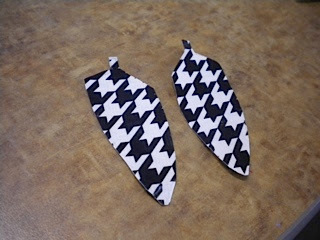 Repeat the whole cut and fold-shebang for another piece of tape to be the second earring. Unless you are into some one earring trend, then just do one piece. It’s a free country. Whip out your trusty ole No. 2 to sketch or trace a basic feather shape. It is okay if it looks like a chili pepper because your magical scissors will help remedy that. After you trace the first one, cut it out and then use it as a stencil of sorts to trace around and then cut out the second one. Once you have your little duct tape feather blobs, it is time to get a little crazy with those scissors! 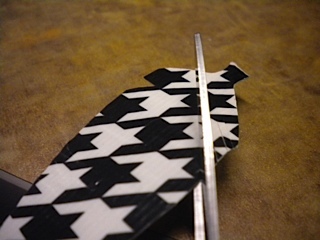 Cut little angled slits up, down and all around the feather. This will just make the edges look like the ends of little advertisement posters (take this tab and call the number to learn about how you too can rid yourself of underwear-phobia!). 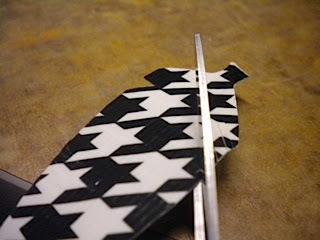 To make it look a little more feather-y, cut little angled triangles where some of your slits are. Ruffle the feathers up a bit by holding onto the ends of the feather and giving it the twist and shout treatment, twisting it and fluffing up the little strips. 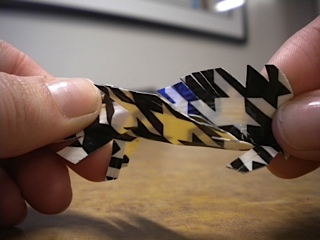 Now, pull out your wire and cut out two pieces around three inches long. If you already put away your ruler, result to that good ole knuckle rule for an inch. The Pinterest directions tell you to wrap the wire around the duct tape feather stem with your needle nose pliers, but that is way harder than they make it look. So, I cheated. I used my duct tape to tape the wire onto the feather stem. Repeat that on the other feather. 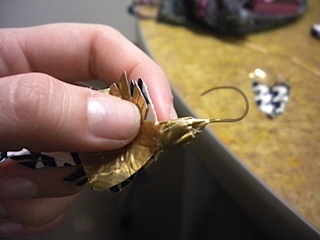 After you get over the ethics of cheating the Pinterest instructions, thread the wire on the feather through the little loop of the earring hook. 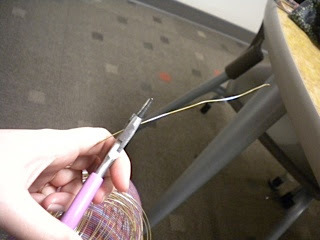 Use your pliers to loop the wire around and wrap the wire around the loop a bit. Make sure that when you make the loop of the wire through the earring hook that the feather will face forward when you wear it in your ear. It would be bad if all your hard work went to waste because your earring is facing into your neck. Fantastic! 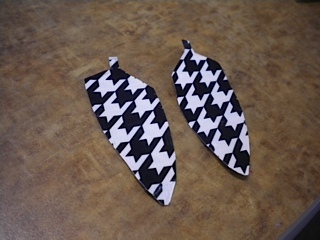 You have made some thrifty, boho-esque earrings! These can have a Mizzou pride twist by using some black and gold duct tape or the infamous official Mizzou logo duct tape. It is then a fun way to show off how much you love your school and totally unique from all the other Mizzou accessories. 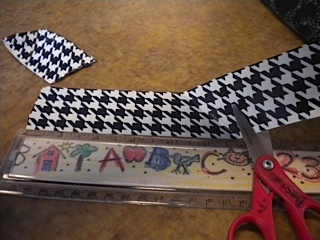 As always, happy crafting, and go Tigers! MIZ-DIY! 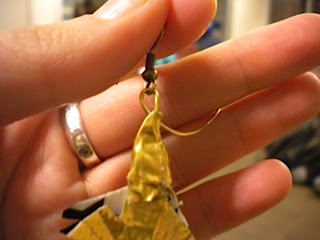 This earring tutorial is part of Veronica DeStefano's weekly DIY column, inspired by projects found on Pinterest.com.